From the founders and owners of Boys Dance Too: The Dance Store for Men comes the inaugural Male Dancer Conference, set for August 18-21, at the Martha Graham Center of Contemporary Dance in the West Village of NYC. Michael Vadacchino and Sarah Singer created Boys Dance Too because after years in dance retail, they wanted to create a site just for males to be able to find everything they need. Similarly, the conference was envisioned and launched to serve the male dance community. Mike Vadacchino. Photo courtesy of Male Dancer Conference. 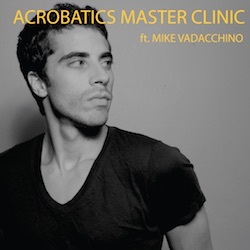 Vadacchino brings together his varied background as a gymnast, dance instructor and Pilates studio owner with Singer’s as a classically trained competition kid who has studied and worked in arts management and costume design. Their journeys coincided when they both worked at a dance retail store in NYC. Singer recalls their “a-ha” moment. Singer says she’s excited to organize and launch this live conference because Boys Dance Too is strictly online. Now the duo will be able to connect with and encourage all these young male dancers in person for an exciting four-day event. Sascha Radetsky. Photo courtesy of Male Dancer Conference. The conference will be both educational and social, featuring a comprehensive beginner program, open classes, special workshops, master clinics, lectures, discussions, panels, parties and more. 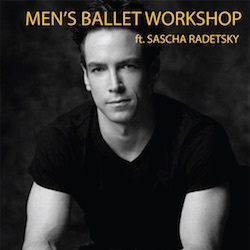 Former American Ballet Theatre (ABT) Soloist Sascha Radetsky, widely recognized for starring in the movie Center Stage and TV’s Flesh and Bone, is currently the director of the ABT/NYU Master’s Degree Program in Ballet Pedagogy. He’s eager to teach at the conference. So You Think You Can Dance favorite and former Prix de Lausanne winner Alex Wong will also be teaching a special workshop. He’ll bring a wealth of diverse experience to his classes, having professionally performed in classical settings (ABT, Miami City Ballet), commercially (The Ellen Show, The Voice, American Idol) and on Broadway (Newsies). Alex Wong. Photo courtesy of Male Dancer Conference. 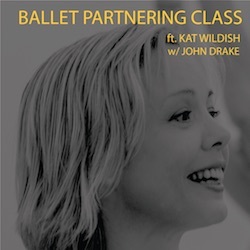 Vadacchino and Singer are proud to bring in these two dance greats for the conference’s first year. Students will be spoiled because their master classes will be three hours long and capped at 50-60 participants. “The participants get a rare opportunity to be under the eyes and direction of these masters in a setting that is more intimate than the typical convention or competition,” Vadacchino adds. In addition to Wong, Radetsky, Gella, Leffler and Wildish, the Male Dancer Conference will boast faculty like John Drake, Dianne Wise, Matt McCulloch and Billy Griffin. In the next couple weeks, they’ll be adding hip hop faculty as well to incorporate more street dance. Thus far, the conference is already receiving a great response, with the eight- through 11-year-old program almost sold out. The deadline to register is tentatively set at July 31, but both leaders highly recommend registering as soon as possible so dancers don’t miss out. Promising the start of new relationships and connections for young male dancers that often feel isolated in their home studios, the conference’s social events will be a breath of fresh air. Younger students will have a few of their own social events, like a character study activity, and the older participants can look forward to a dance movie screening. The closing party on the final night also promises to be a fun semi-formal occasion for both students and their parents. Kat Wildish. Photo courtesy of Male Dancer Conference. This passion project invites all male dancers from across America and beyond to register. 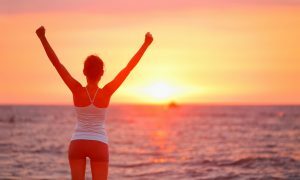 For more information, visit www.themaledancerconference.com. “We want all of these boys who come, even if it’s just for one class, to leave feeling respected, honored even,” Vadacchino concludes.